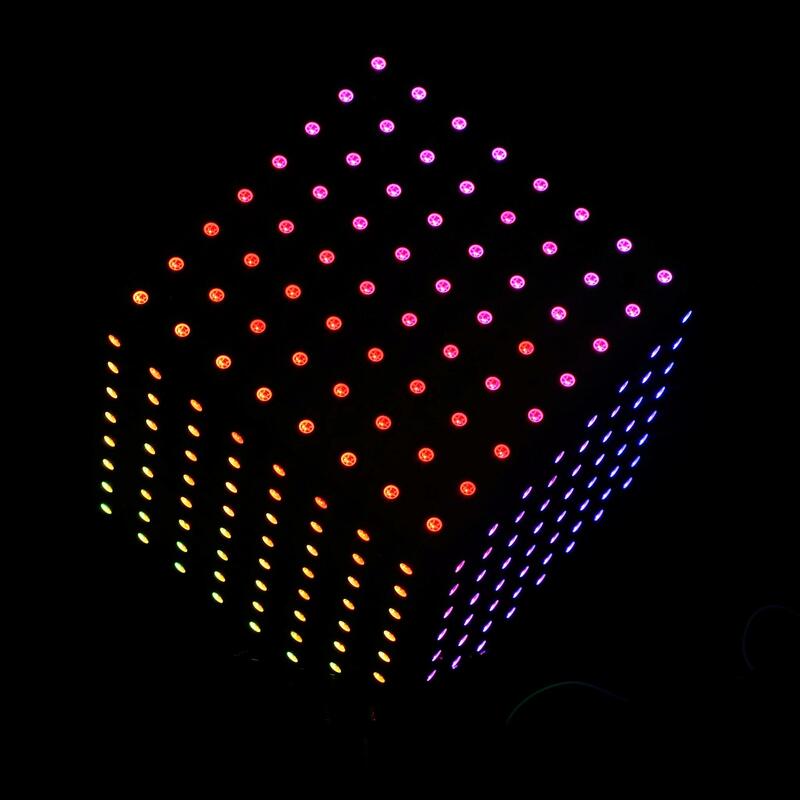 TinyTiM is an 8x8 (64 nos) array of smart RGB pixels that can be controlled from a single microcontroller pin! 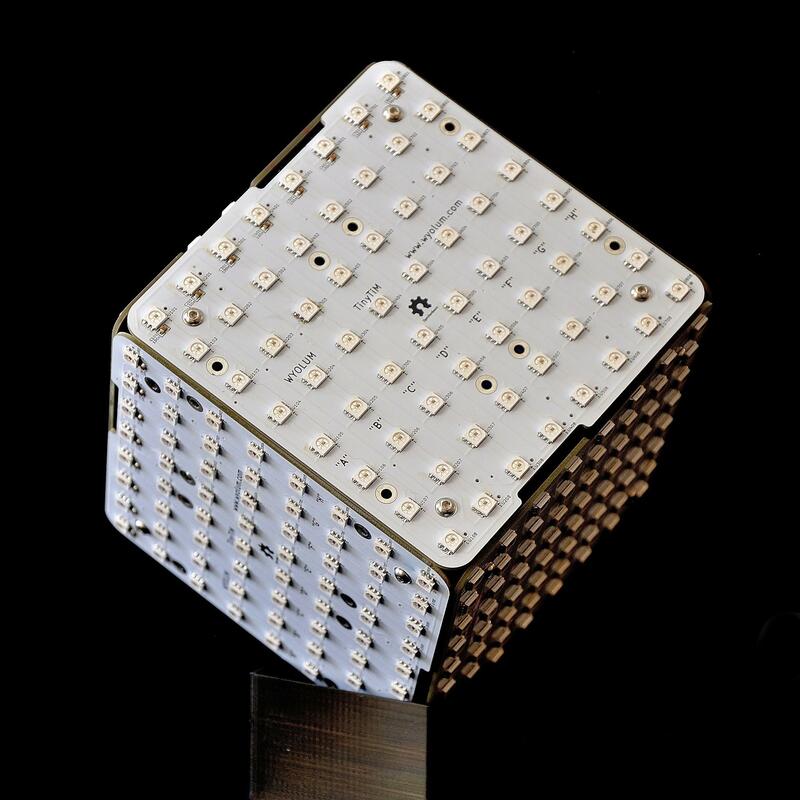 Expandable -- make larger arrays by stacking multiple boards horizontally or vertically or even a 3D cube! Expand this configuration for larger matrices. A series matrix will still be controlled with 1 control signal, and a parallel matrix by 8 signals. It will be appreciated if you can help us improve the documents, add more demo or tutorials. For technical support and suggestions, please post your questions to our forum.